Grandin Parc Village is thrilled to be the Premier Sponsor of the beloved St. Albert Snowflake Festival again this year! We’re so excited that we just can’t wait until November 23 to start spreading the love. So, we’re getting warmed up with a chance for you to win a prize basket valued at over $750 and four skip-the-line sleigh rides and Santa passes at the upcoming Snowflake Festival! 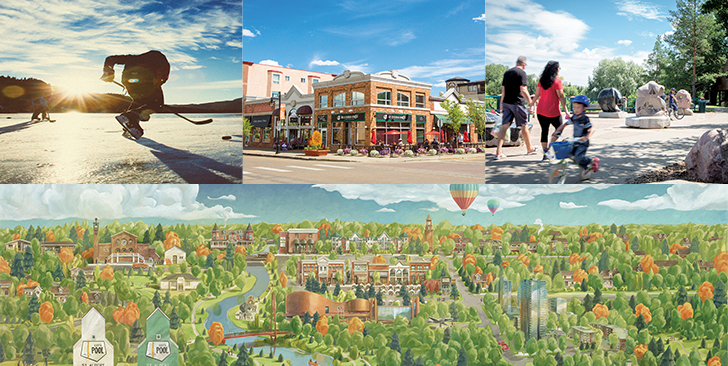 Tell us why you love St. Albert. Is it our deep-rooted heritage? Our local year-round festivals and events? Maybe it’s the charming shops along Perron Street. Post a photo of you on Facebook or Instagram in your favourite St. Albert happy place with the hashtags #WhyILoveStAlbert and #GrandinParcVillage. UPDATE: THE WINNER IS…. Rebecca Tetley — Congratulations! Thank you so much to everyone who participated in our contest! 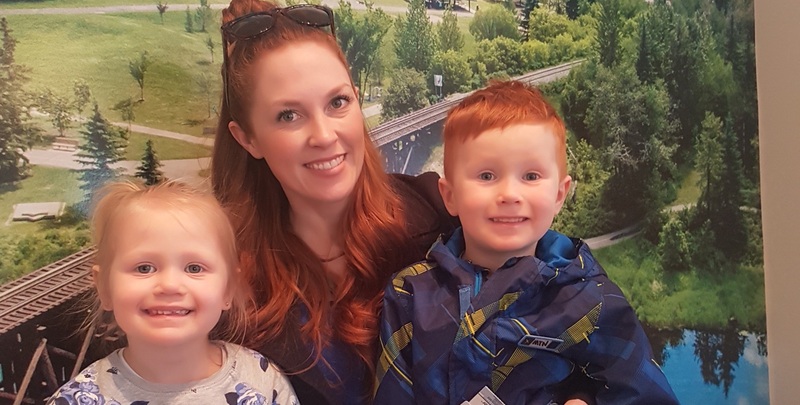 We loved checking out why you love St. Albert, we even saw some places we want to see for ourselves! The Snowflake Festival was amazing again this year and The Grandin Parc Village team had a blast meeting everyone and getting into the holiday spirit. We have just unveiled a brand new show suite at Grandin Parc Village. Plan K is a stunning 3 bedroom, 2 bathroom, 1,274 sqft suite starting from $465,900. This gorgeous corner unit is located directly next to the stunning Grenadier Park, providing a private sanctuary with amazing unobstructed park views. Take an online tour below! 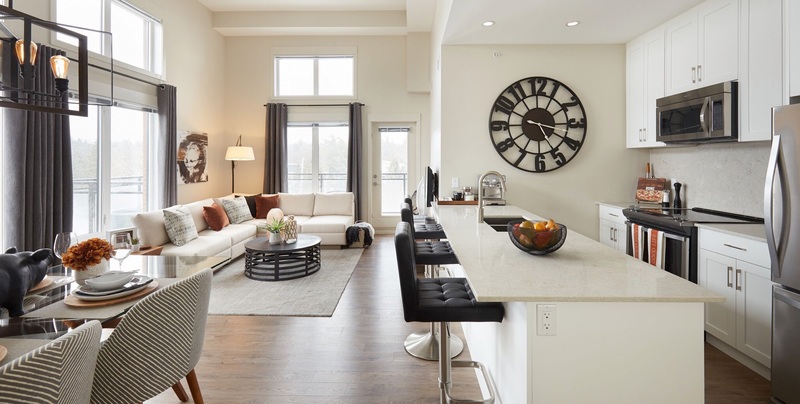 Visit our Presentation Centre to tour all three show homes, and find out why Grandin Parc Village is one of St. Albert’s most highly sought-after condo residences. For more information regarding our show suite hours or to get in-touch with us directly, click here. We are pleased to announce the winner of the Dinner and a Show Contest! Kelly K. from St. Albert correctly answered our skill-testing question and won a $200 gift card to Privada Wine + Tapas along with tickets to the St. Albert Rotary Music Festival’s Encore! Performance. Grandin Parc Village is incredibly proud to be the premier sponsor for the festival for two years running. Congratulations to all the talented performers, volunteers and event organizers. We are honoured to be part of such a wonderful community event! Amacon is proud to share that once again we are one of the Signature Sponsors for the 2018 St. Albert Rotary Music Festival! However, this year we are shaking things up and offering one lucky winner a $200 gift card to St. Albert’s own Privada Wine & Tapas and 2 tickets to the Encore! Performance as part of our “Dinner and a Show – Social Media Giveaway Contest”. This gift card is reserved for use at 5:00pm (or earlier) on the evening of the Encore! Performance Wednesday, April 25 from 6:30 to 8:30pm. 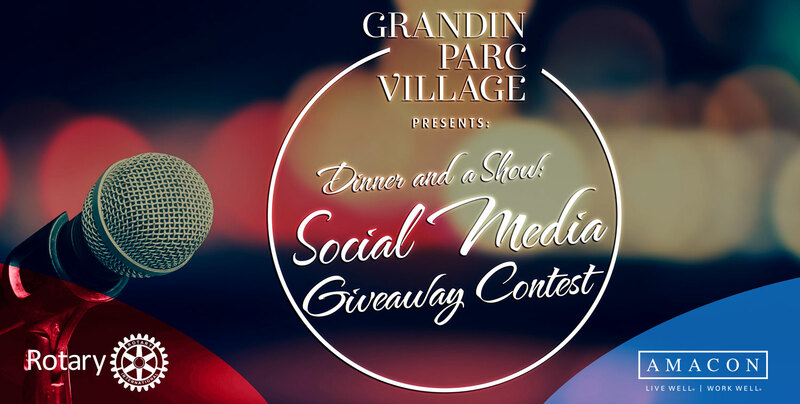 To be eligible for this prize, contest applicants must follow Grandin Parc Village on our Facebook, Instagram or Twitter accounts and correctly answer 1 of the 2 skill-testing questions (via private message), which will be posted on our social media pages in the coming weeks. These questions will be based on the St. Albert Rotary Club and their charitable work within the community. Winner will be announced on Wednesday, April 18 and can collect his/her prize at the Grandin Parc Village Presentation Centre between April 19 to 24. Keep your eyes on our social media accounts for the official contest questions and we can’t wait to see all of the amazing local talent perform on the night of the St. Albert Rotary Music Festival’s Encore! Performance. Good luck to everyone! Temperatures are rising! Spring is here and we’re thrilled to announce that Parc Residences is now officially 50% SOLD! We have only a handful of 1 bedroom homes available, as well as many gorgeous park-facing 2 and 3 bedroom homes. Let us tour you around these move-in ready homes, so come this summer, you’ll be enjoying your own new air conditioned home before we’re sold out! To ensure you receive priority updates regarding future promotions and availability, please register online at grandinparcvillage.com/contact and one of our sales representatives will be in-touch. 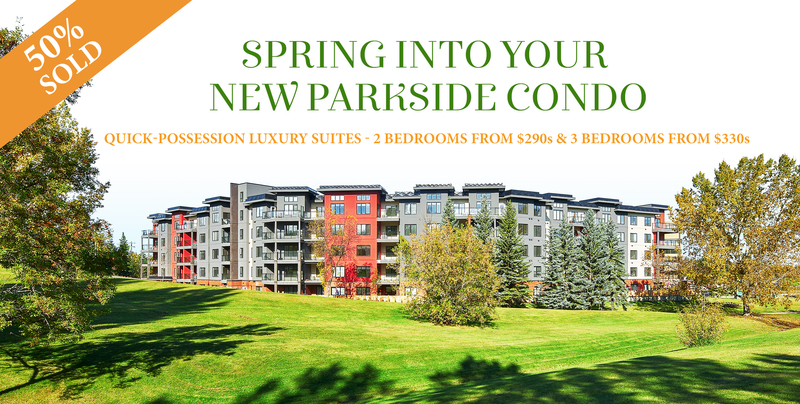 Find out why Parc Residences at Grandin Parc Village is one of St. Albert’s best new luxury condo developments! The St. Albert Farmer’s Market opens this Saturday, June 10th! 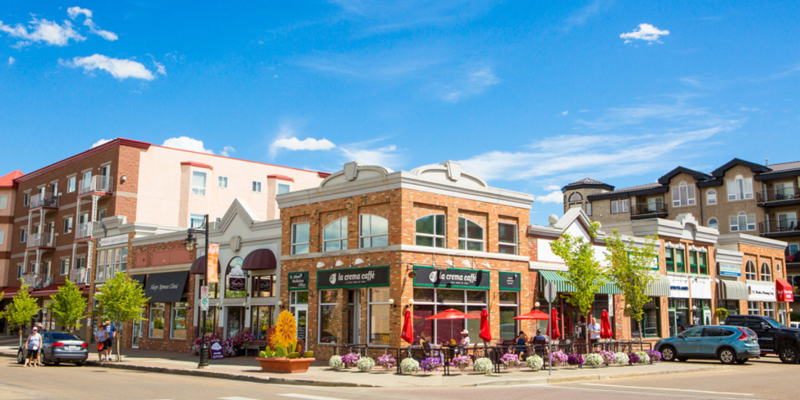 Located in the heart of Downtown St. Albert and just minutes from Grandin Parc Village, shop local products from over 250 vendors, enjoy live music, food trucks plus fun family activities. Drop by the Presentation Centre and visit our fully furnished display suites to hear about our latest promotion! Grandin Parc Village is extremely proud to be the Signature Sponsor of the St. Albert Music Festival. We are giving away four tickets to the Encore! Concert and Awards Ceremony at the Arden Theatre on Wednesday, April 26 at 6:30 PM. To enter for a chance to win email us at info@grandinparcvillage.com with the answer to this skill testing question. How many years has the Music Festival been taking place in St. Albert? We wish every performer the best of luck, and extend our gratitude to the hard work of the St. Albert Rotary Club, event organizers and volunteers. 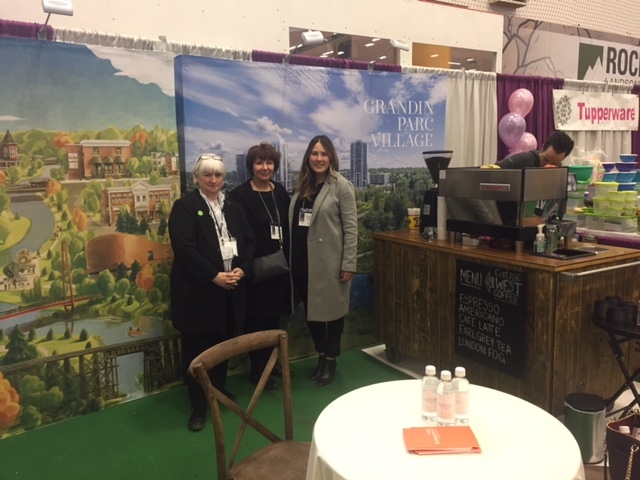 The Grandin Parc Village team was proud to be a participant at the 2017 St. Albert Lifestyle Expo. We enjoyed handing out lattes and bottled water, while meeting so many locals and visitors, and answering many questions about the Village. We wish to thank and congratulate the St. Albert Chamber of Commerce for organizing such a great event! 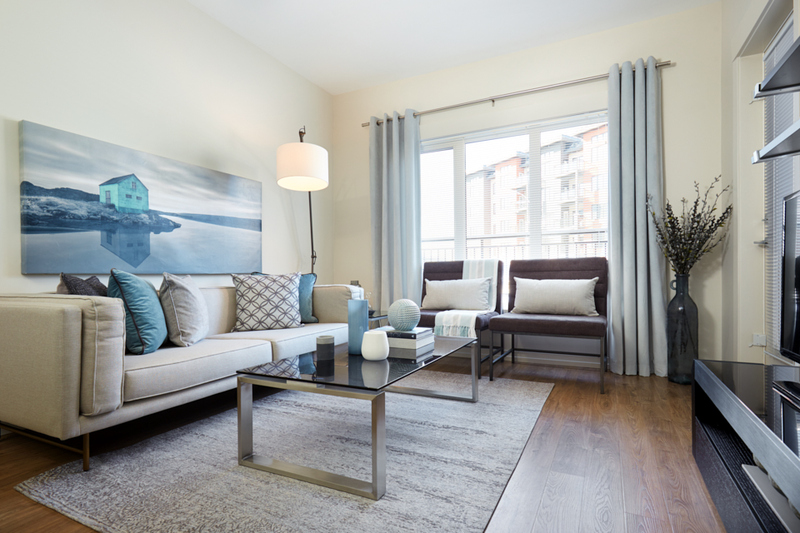 We have added a third fully furnished show home at Grandin Parc Village. Professionally decorated by the amazing team at Design a Décor (http://www.designadecor.com/), envisioning life in your new home is easy! Drop by any day from 12-5 (except Friday) to have a look. We’d also love to tour you around any of our unsold homes to check out their spectacular village and parkside views. All of our homes are now move-in ready. Choose yours today!